SOFT START SOFT END: In soft start the output is given to the load in an exponential way. This character prevents excess inrush current to the heaters or transformers. This feature increases the life of the load. OVER-LOAD TRIP: OVER-LOAD trip can be adjustable from 110% to 200% of the rated output value. If OVER-LOAD occurs the output is disabled. AUTOMATIC RESET: When OVER-LOAD trip happens, after three seconds delay thyristor again starts normally and provides output. If OVER-LOAD trip happens more than three times with in 10mins, the output is disabled permanently. RESET SWITCH : If any problem occurs in the output or input, and output is disabled, then hootter goes on. At this stage rectify the problem and press the reset switch. ENABLE SWITCH: Optional Enable Switch is also provided. 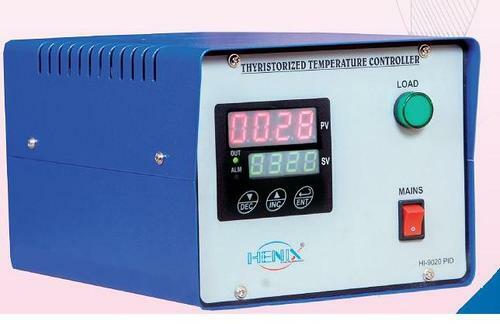 Backed by a team of experienced professionals, we are offering Thyristor PID Controllers. 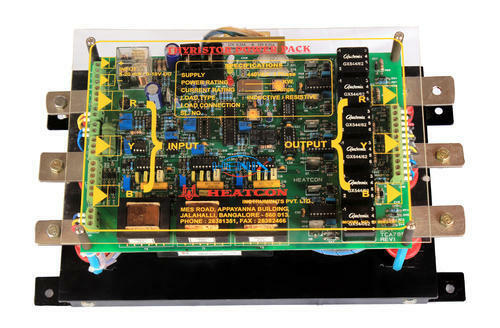 Looking for “Thyristor Power Controller”?